Related: Why you should use Sleeper draftboards for your live draft. The Sleeper Draftboard was originally designed for live in person drafts. 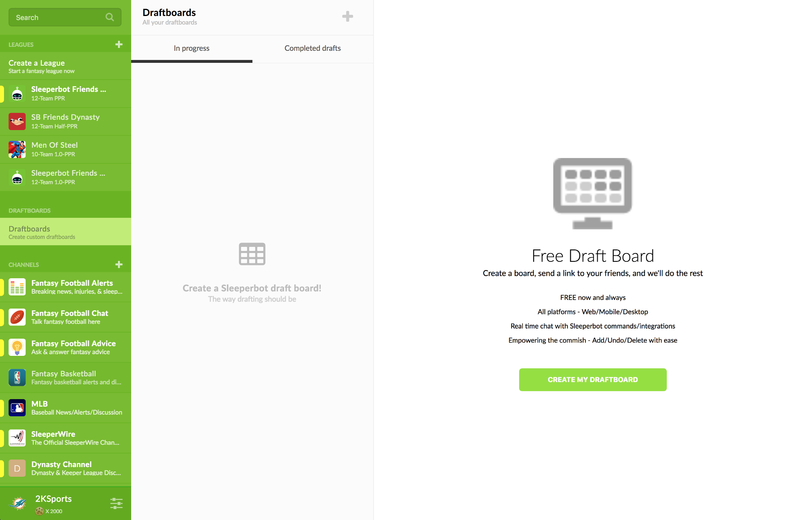 The most important aspect of its design is the draftboard user interface — hence the name. 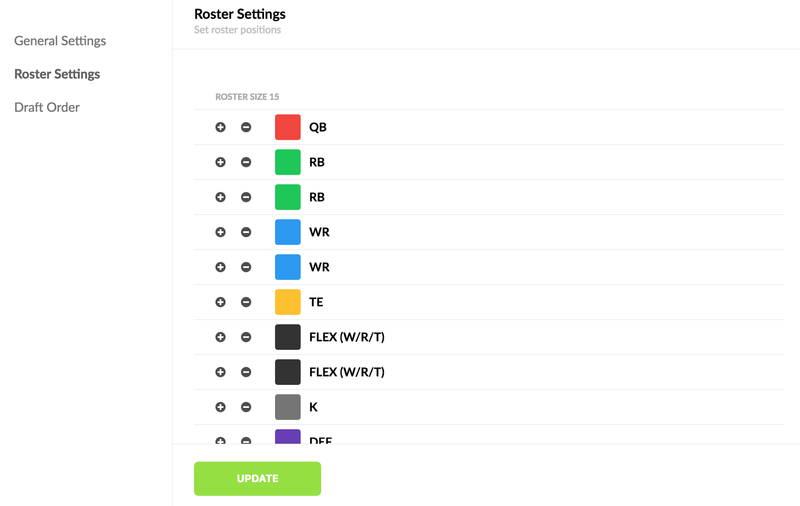 Most draft software are designed to show you picks in a list view, which prevents you from looking at your draft holistically. By seeing the entire board, you gain extra context into when your turn is, what your opponents have been drafting recently, position runs, and players that might become unavailable when it is your turn. This information is absolutely critical during a draft, where you may not have that much time to make a decision. 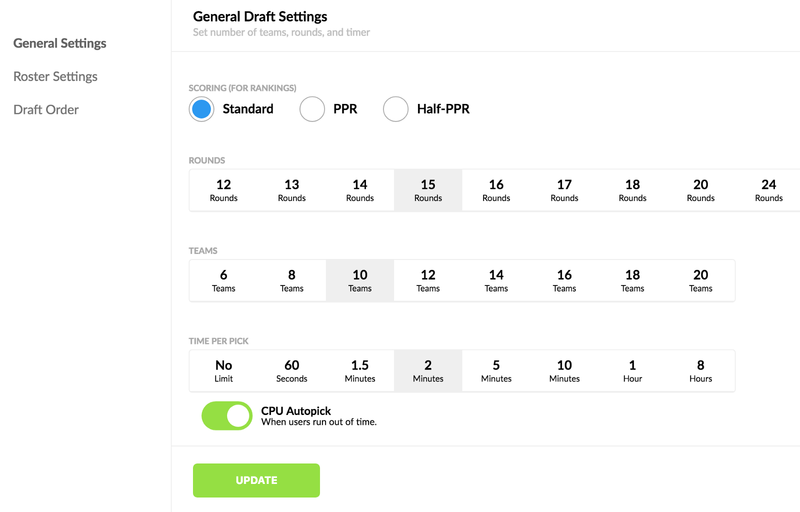 This season, we’ve added features to the draftboard so that you can use it for mock draft practices, either with CPUs in quick 1 minute mocks, or with others (if you share your draftboard link). You can do mocks on our web app, Android app, or iOS app. You’ll need a Sleeper account. It’s free and doesn’t require any information other than a username. You can modify the draftboard to your liking. Choose between Standard, PPR, and Half-PPR drafts. Note: Dynasty and Rookie only mocks are coming soon! You can even pre-set keepers on certain Squares before the draft begins! You can draft against the CPU, real people, or both! 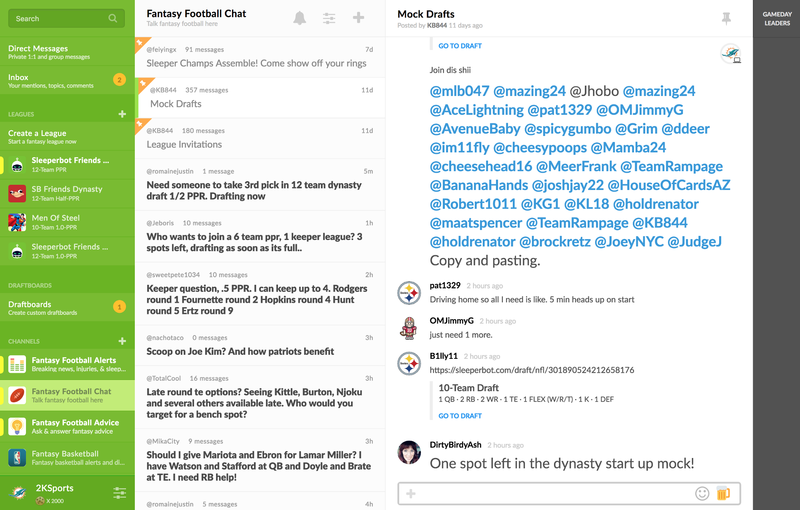 If you are bored of mocking against the CPU and want real people for a variety, try joining our Fantasy Football Chat channel and posting your mock draft link into the pinned Mock Drafts thread. This channel is also a great place to find other people looking to mock. Once you are ready, start the draft by clicking on begin draft! After the draft, share your mock draft on Reddit, Facebook, or Twitter to get opinions on how you did! We save all your previous mock draft results so that you can access them any time. 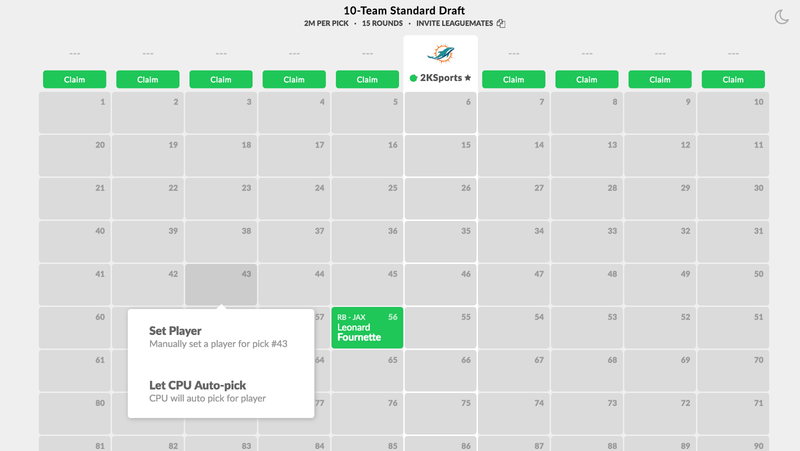 Keep in mind that this very same draftboard can be used for your league’s live draft as well, whether you play on Sleeper or another platform. 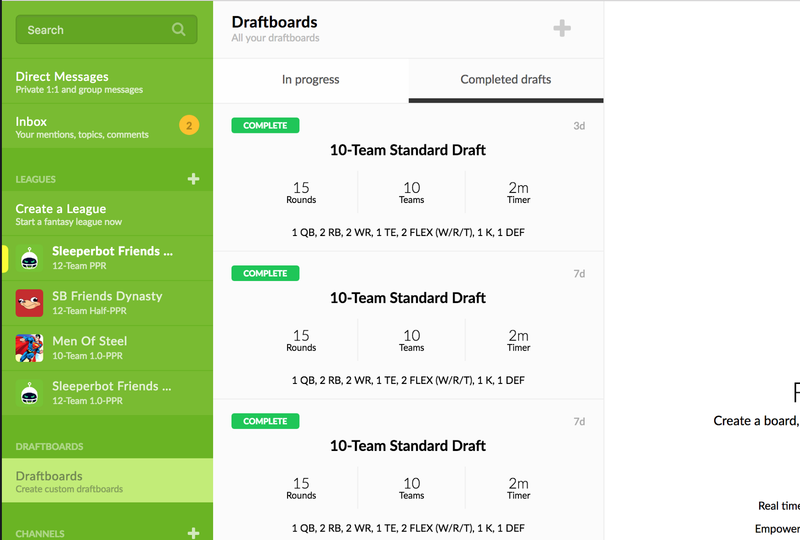 It comes complete with Dark Theme and Big Screen Mode, and was the draftboard of choice for tens of thousands of leagues last year.